Tomorrow is finally March. We can kiss February goodbye & start the countdown to the spring. I feel as if it is all that I can think about. I am over the cold & snow and am longing for the outdoors. The snow may melt in the spring, but it is not without its weather challenges too. April showers bring May flowers & the showers certainly do fall. 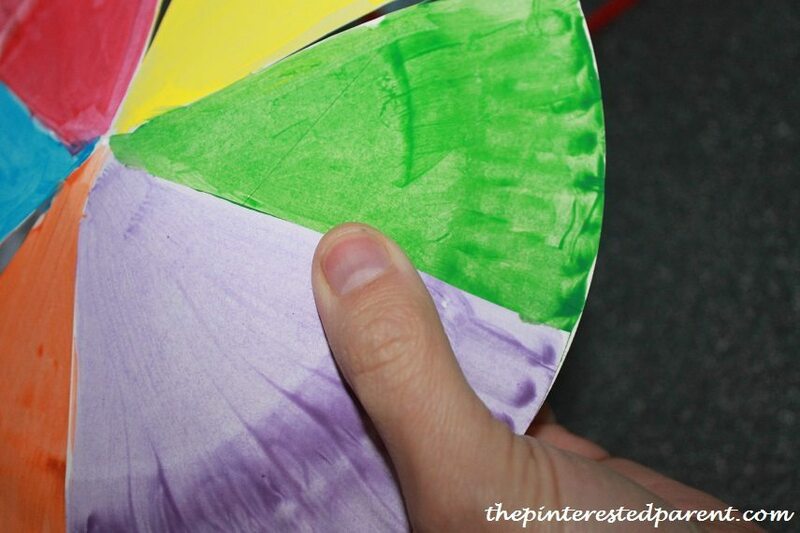 Here is a cute umbrella craft that you can do to welcome in the spring & its raindrops. 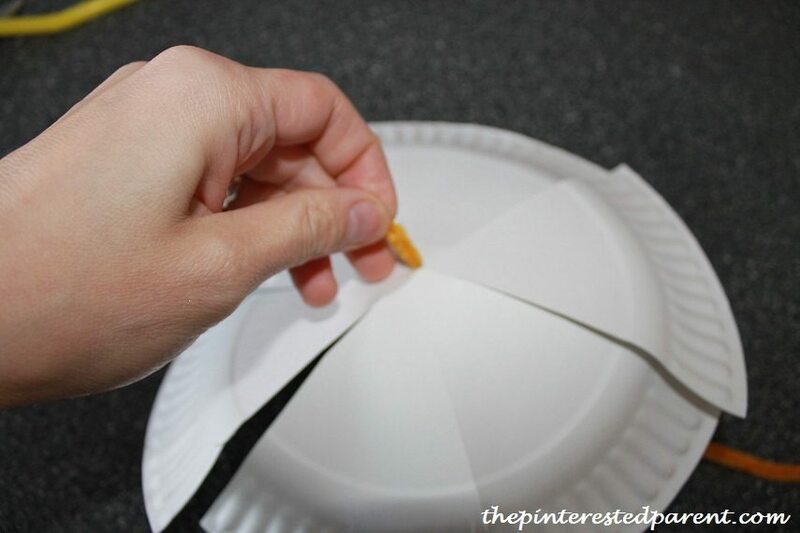 Cut a paper plate so that there are 6 pie sections. Cut so that there is an uncut circle in the center. Poke a hole through the center with a pipe cleaner & pull the cleaner back out. Paint the bottom side of the plate. 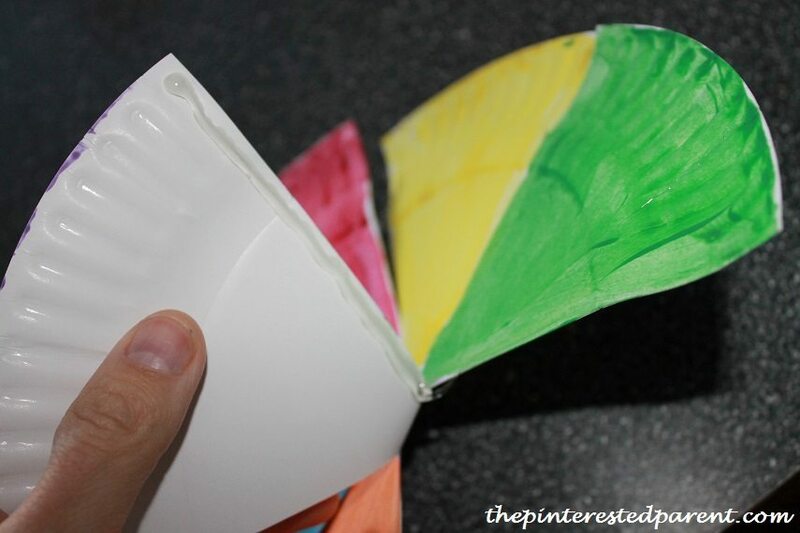 Paint each segment in a different color. Let dry. 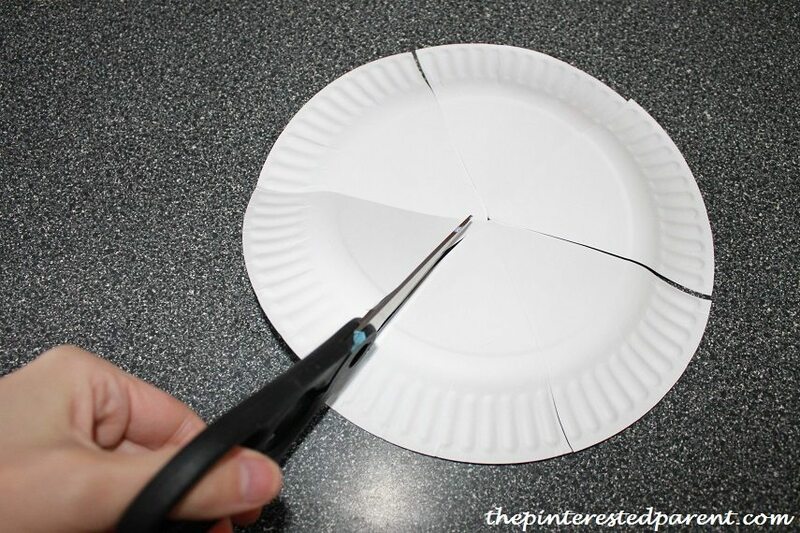 Using a glue gun, glue the edge of one piece of the pie. Overlap it slightly with the next pie segment. Continue all the way around. Poke the pipe cleaner through the top again. Form a loop and push the point back through the center again, keeping the loop on top and the end on the inside of the umbrella. Push a straw of the same color over the pipe cleaner until it reaches the top. Add a dab of hot glue to the inside center. Let it cool for about 30 seconds and then push the straw into the glue. 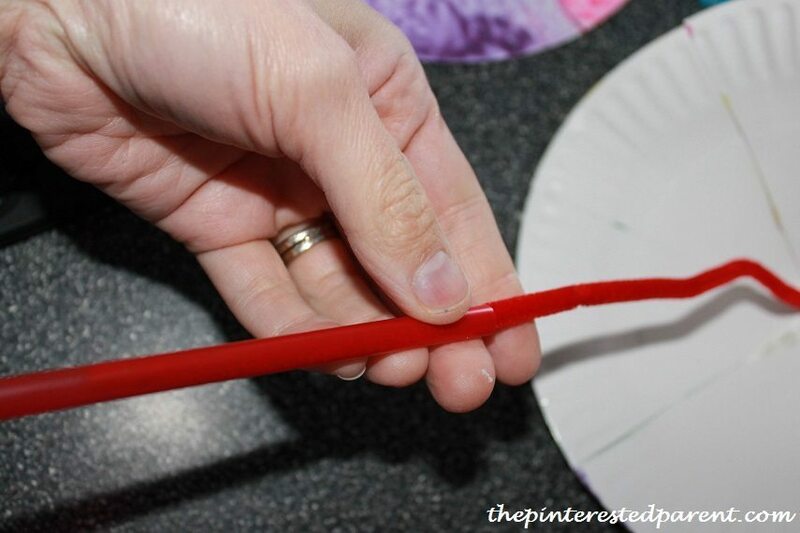 Curve the bottom of the pipe cleaner to form the handle. Share your umbrella with a friend. the umbrella craft is adorable! Thank you Susen. Thanks for linking up. 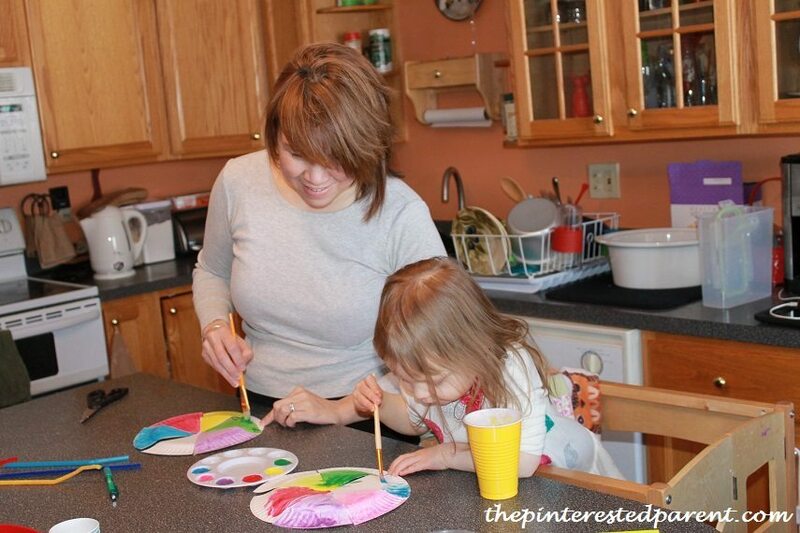 This would be a great craft to do with my nieces! Thank for sharing! What a cute craft and so easy to make too. I might end up doing this next weekend with my toddler. Thank you. You are welcome. My daughter loved these & was very proud of her umbrella. I hope your tot likes it as well. 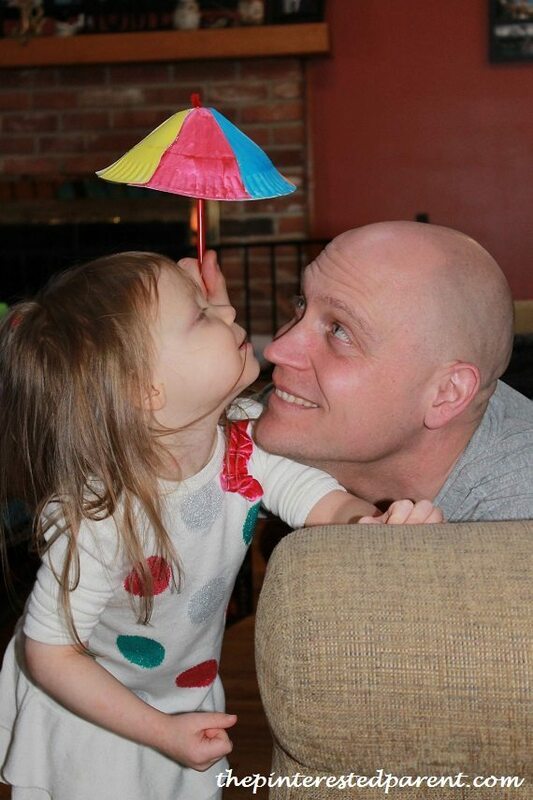 I love your umbrellas! 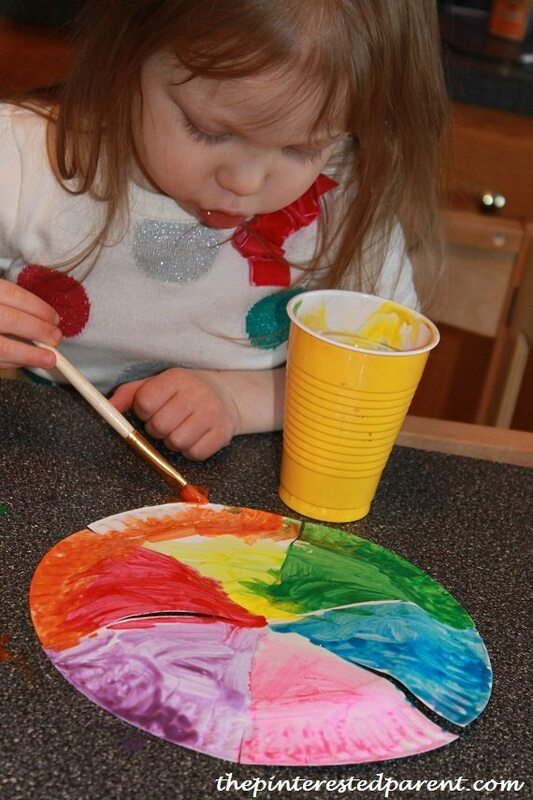 This is a cute springtime craft to get us ready for the warmer temps and better weather! I’m SO over this winter! You and me both. I can’t wait for the spring. I love this. It looks so cute, creative & the color combination is absolutely fabulous too. I love how involved your kid is, on the craft work & her reaction is so cute & priceless. I would love to do this with my kids as well. My daughter loves doing crafts. She asks me all the time. “Mama, can we do a project?” ABSOLUTELY! I love that she enjoys art & crafts so much.